Are super 60 injectors ok for t2 conversion lbody? - Turbo Dodge Forums : Turbo Dodge Forum for Turbo Mopars, Shelbys, Dodge Daytona, Dodge SRT-4, Chrysler PT Cruiser, Omni and more! Turbo Dodge Forums : Turbo Dodge Forum for Turbo Mopars, Shelbys, Dodge Daytona, Dodge SRT-4, Chrysler PT Cruiser, Omni and more! > Turbo Dodge Technical Chat > Engine Management, Fuel, Spark, EGTs, and Air/Fuel Ratios > Are super 60 injectors ok for t2 conversion lbody? Are super 60 injectors ok for t2 conversion lbody? Re: Are super 60 injectors ok for t2 conversion lbody? Is your ECU going to be programmed with these injectors in mind? If so, you can use them. If not, don't use them. I ran 75lbs injectors with my LM. $260 for a set of 52lbs Super60 injectors isn't really a good deal. There are bigger injectors for cheaper. Also keep in mind Dodge rate their injectors at 3.8 bar of fuel pressure while everyone else rate injectors at 3.0 bar of pressure. It doesn't matter what injectors you put in, as long as you have the ecu calibrated for the injectors you are going to use, and then efficiency is made from having modifications to demand that much fuel (ie. larger turbo, larger exhaust, ported manifolds/head, cam, etc). I'm not familiar with the forward motion overlay harness, is this still going to run a logic module (LM)(assuming it's a 85 GLH-T)? If so, your LM year will be 1987 (Daytona). 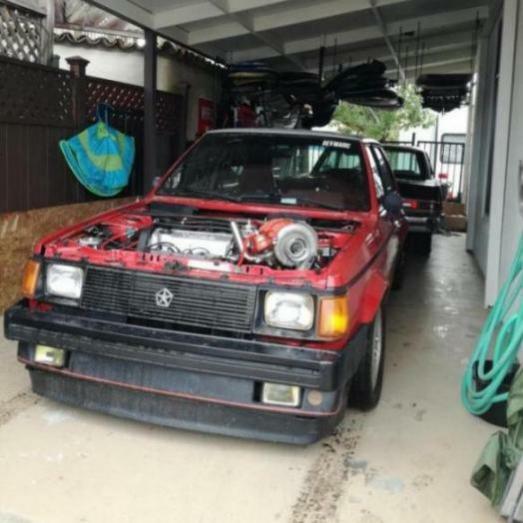 Is it already a running and driving 1985 GLH Turbo you want to intercool?? If so you don't need to get complicated with electronics etc. I've intercooled 1985's with great success using 1985 LM, injectors, distributor etc. Fair enough, best of luck! !